Sewing can be one of the most fulfilling and productive hobbies you can spend your time on, especially when you have the right equipment and materials, such as a high-quality machine. Selecting the sewing machine that meets your needs and budget as a beginner can be overwhelming and complicated if you're not sure what you should be looking for. If you've never owned a sewing machine before, you're probably not aware of the huge range of options when it comes to choosing a machine to purchase. This guide aims to outline everything you need to consider before making your purchase of a beginner's sewing machine, so you feel confident in your selection. We've covered everything you need to think about including features to consider, pricing, questions to ask yourself, and reviews of our favorite machines for the beginning sewer in order to help you make an educated decision when selecting a machine to purchase. Why You Should Buy It: This machine is versatile, easy to use, and perfect for beginners and experienced sewers. This machine has earned its place as Editor's Choice due to it's excellent reviews and price point. It is incredibly easy to operate, including easy to use features for selecting stitches, changing the sewing speed, threading, and bobbin winding. There are 60 built-in stitches with 20 decorative stitches, 20 garment stitches, 7 quilting stitches, 6 heirloom stitches, and 7 auto-buttonhole styles. This sewing machine can handle any project big or small, ranging from quilting to garment making. 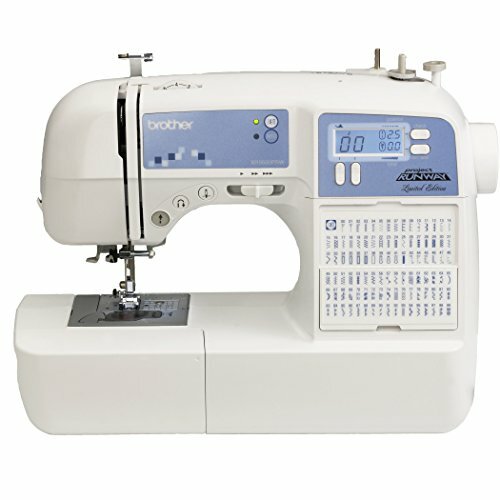 You can control stitch length and sewing speed, so beginners and experts can adjust the settings to meet their needs. It includes all the accessories you need to get started and comes with a hard carrying case. The user manual includes a Quick Start guide as well as detailed instructions on how to care for your machine and troubleshoot any errors. Additionally, it comes with free phone support and a great warranty, but most users find that the excellent manufacturing and high quality of materials keep this machine working perfectly for many, many years. At a price point under $200 (most of the time), this machine is perfect for a beginner to start with and be able to continue to use as their skills progress and develop. Why You Should Buy It: This sewing machine is perfect for beginners. It is simple to use, lightweight, and compact. The Brother XL2600I is an excellent choice for beginning sewers. It is compact and lightweight so you can set it up wherever you would like and aren't constrained to a set spot. The features of this machine are very easy to learn how to use, and the instruction manual walks you through everything you need to know about sewing with this machine. The threading system is straightforward and includes an automatic needle threader and includes a drop-in bobbin and automatic bobbin winder, simplifying the entire process for the user. Another simplifying feature is the auto-sizing buttonhole, which only requires one step to complete, and it includes both a buttonhole foot and button fitting foot. 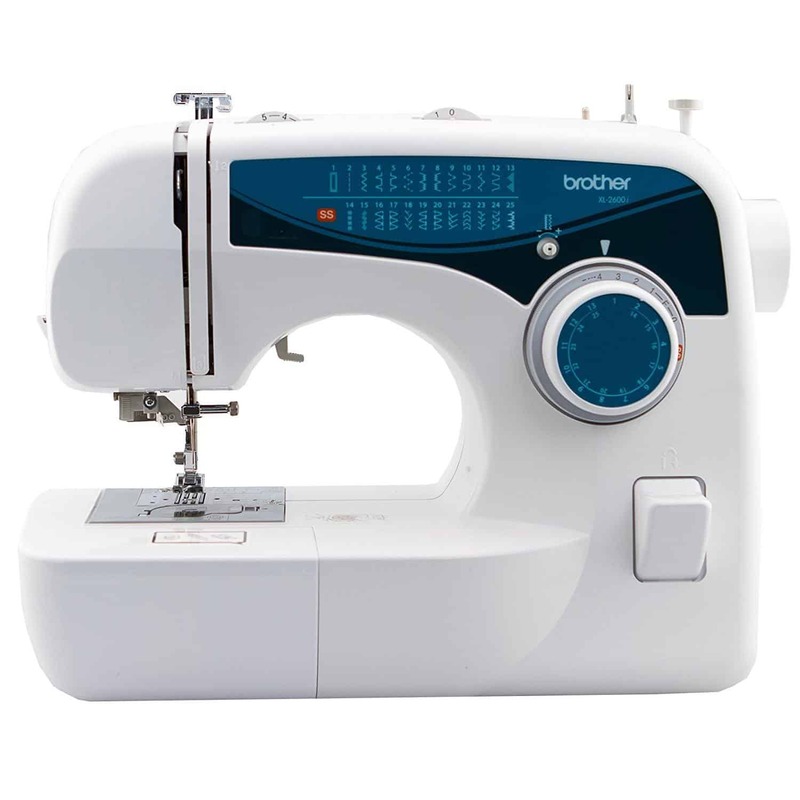 What sets this sewing machine apart is the built-in free arm for use with sleeves, pant legs, cuffs, and any other project with small cylindrical features. The accessories pack is basic, but as a novice sewer, you won't need many expert features or accessories so what is included is sufficient for your beginning projects. Users with little to no experience will be able to start using it very quickly out of the box without struggling to figure out how to use the basic features. The Singer 4423 is a machine that can handle any project you throw at it. 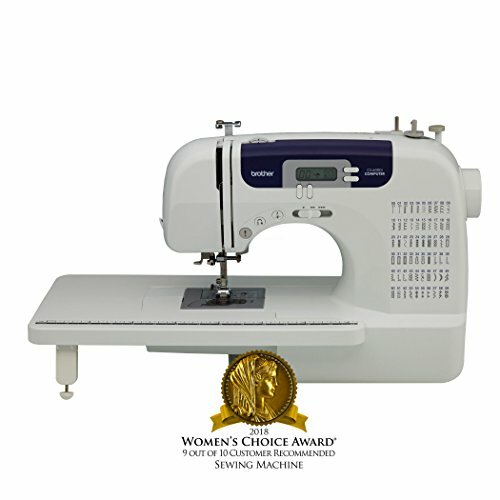 It is simple enough to use that a beginner can figure it out with a quick read of the user’s manual, and experts will find that its heavy-duty frame and fast stitching meets all of their sewing needs as well. This machine can handle all types of fabrics, including thicker fabrics that other machines struggle to sew through. Working with denim, leather, and canvas is no problem with this machine, just be sure to use the right needle and pressure foot! This sewing machine has a 60% stronger motor than other Singer machines and sews up to 1,100 stitches per minute, which allows you to work at your pace, fast or slow. It is constructed with a heavy-duty metal frame, keeping the machine steady while you are working, which is important for a new sewer. Even though the bobbin threading can be tricky, there is a clear cover so you can easily see thread supply, if it is loaded correctly and troubleshoot without having to remove parts. Singer also has created a smartphone app so users can get access to frequently asked questions, video tutorials, and connect with other sewers, all of which are great tools for a novice sewer. Why You Should Buy It: Extensive variety of stitches and pressure feet to handles lots of different projects. This sewing machine boasts 100 different stitch types and includes 10 pressure feet, allowing users to complete every type of project imaginable. It also includes 6 styles of one-step buttonholes, and an endless buttonhole feature, which allows you to create buttonholes with sides as long as you want. The electronic autopilot capability lets you decide if you want to use foot control to control starting and stopping and stitching speed, or start and stop with a button on the machine and adjust speed control with a lever. This is a great feature for beginners because it creates uniformity within the stitches on your project and doesn't require the nuances of controlling your speed with the foot pedal. The huge variety of stitches (including 9 essential, 8 stretch, and 76 decorative) allows you to experiment with all types of projects such as fashion creation, quilting, crafts, and decorative pieces. As a beginner, you want the option to explore all types of projects without spending the money on a professional machine, so this computerized machine is a great option. This machine will meet your needs as a beginner and continue to meet your needs as your skills grow and develop and you pursue more complicated projects. Why You Should Buy It: Easy to use with advanced features to help you bring all your project ideas to life. This is a great beginners machine at a great price. It has all the features a beginning machine should have, such as an automatic needle threader, drop-in bobbin, auto tension setting, and auto needle up and down button. There are 100 built-in stitches with a LED display and quick stitch guide right on the machine so you can change stitches quickly and efficiently. The stitch selection includes 8 styles of 1-step auto-size buttonholes and 55 alphanumeric stitches for lettering and monogramming. Also built into the machine are a free arm for sewing cuffs and sleeves, and an extra wide table so this machine can handle any size project, big or small. This sewing machine is also very quiet, light, easy to transport, and compact so you can choose where to use it within your home, or even bring it along to a sewing class or group. The included accessories kit has all the pressure feet you need for each of the 100 stitches and includes a few varieties of needle types for different fabrics. 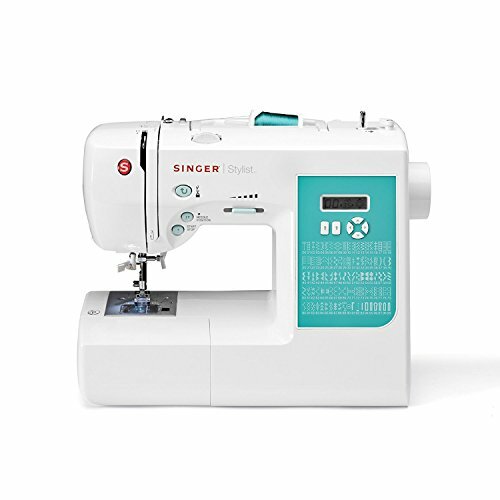 This is a great machine for beginners because you can essentially use it right out of the box and it has plenty of features that allow you to experiment with different styles, fabrics, and functions. Why You Should Buy It: Get started sewing right away with this easy to use and sturdy sewing machine. 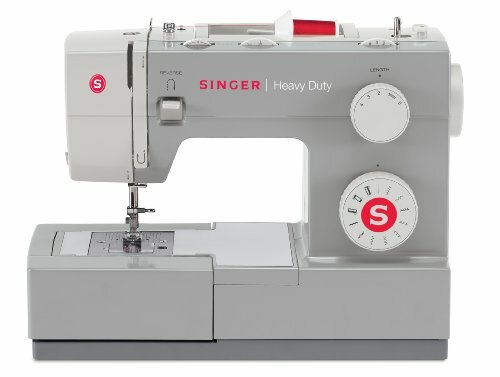 This is a heavy duty, but simple sewing machine that has everything a beginning sewer needs to complete basic projects. Its strong motor and fast stitching speed ensure that it can sew through thick fabrics with ease and allows you to finish projects quickly. It has 11 built-in stitches, including essential, stretch, decorative, and one automatic buttonhole stitch. The simplicity of this machine is what makes it great for learning how to sew. The user doesn't have to make many adjustments while they are working on a project or starting a new one, and troubleshooting is straightforward. The stitch selection and stitch length knobs are easy to read and don't require you to reference anything other than the display markings to determine the setting, which is convenient for sewers who are using only basic stitches. For some novice sewers, having too many options on their machine can be overwhelming or distracting, so if you are someone who likes an uncomplicated, clear-cut, easy to use machine, this is a great fit. Also, because it has fewer expert features, the price point on this sewing machine is lower, making it more affordable for beginners and allows you to spend more on high-quality fabrics and threads. Why You Should Buy It: This very lightweight beginning sewing machine won't cost you an arm and a leg to start your sewing hobby. 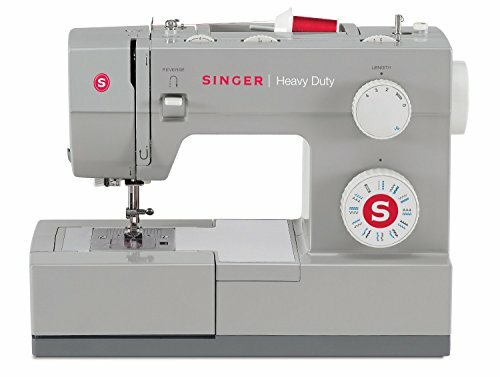 This very inexpensive, lightweight beginners sewing machine is a great pick if you want an easy to use machine that doesn't require any experience to operate. It comes with an instructional DVD that walks you through setting up the machine and shows the user all the basic functions, such as threading, changing the pressure feet, winding the bobbin, how to make a buttonhole. There are 27 stitches built in, including basic stitches, decorative stitches, and quilting stitches, so you have the variety you need for daily, beginner projects. Changing the pressure feet is very simple, no screwing and unscrewing required! The accessories package is minimal, however since this machine is has a low purchase price, you can buy additional accessories you may require when the need arises. This sewing machine is made for sewers who are creating basic pieces, not complex designs or using thicker fabrics, so if you plan on working your way up to advanced projects, you may want to consider a machine with more stitch options or a sturdier construction. However, if you plan on using this machine for only basic projects, or it is meant for a child or teenager, it is a great starter machine, especially at a price around $100. Why You Should Buy It: A well-made machine that is simple, lightweight, and easy to use with enough stitch options for any project. This sewing machine has everything a beginner needs to get started learning how to sew and completing projects within minutes of taking your machine out of the box. It comes programmed with 32 built in stitches that span from basic, to decorative and an automatic 1-step buttonhole. Also included are four different pressure feet that snap on, rather than requiring a screwdriver to change, for easy switching between pressure feet for different aspects of your project. This is a great machine for the beginning hobbyist and can handle any basic project. Once you have mastered the basics of using the machine, you can get more creative and experiment with features included such as the free arm for sewing cuffs, and decorative stitches for adding detail to your projects. It is very light-weight, so you can transport it from room to room or bring it to a class, and having that ability allows you to be more flexible with your machine. Especially helpful for beginner sewers, the social media support app allows you to communicate with more experienced sewers to get advice on projects and troubleshoot problems. Overall a great, simple machine that is easy to operate and won't cause you frustration trying to figure out advanced or complicated features. Why You Should Buy It:This mechanical machine is perfect for learning how to sew for a first-time sewer with little to no experience. 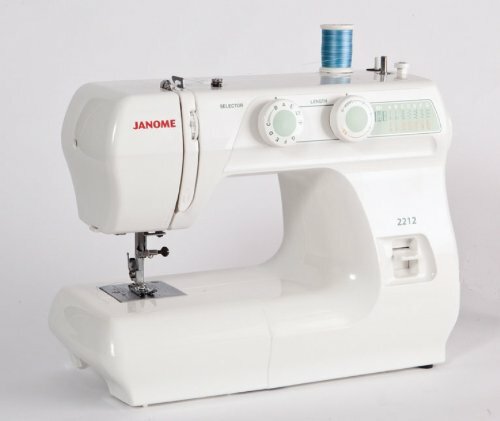 The Janome 2212 is a mechanical sewing machine that is great for sewers completely new to the craft who are eager to learn and want a machine that can handle a wide variety of fabrics and projects. This brand is known for making high quality, dependable machines and this model is no different. 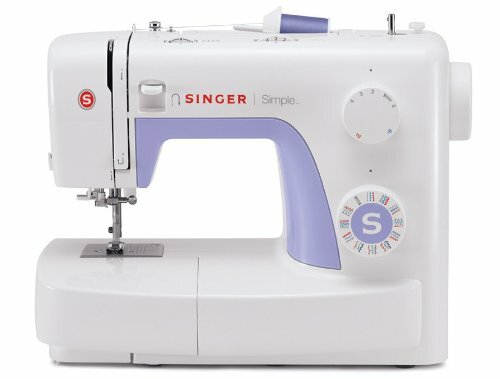 If you are the type of person that doesn't want to deal with the high-tech features on a computerized sewing machine, this is a great choice in mechanical models. It is easy to set up and use, even for a beginner and consistently sews without skipping stitches or having trouble with threading or bunching of fabric. This machine is particularly popular with younger sewers who are just learning how to do the basics and want a simple machine that works consistently every time they use it. It has a limited number of stitches, but the ones that it has are reliably strong and take care of basic projects and mending with ease. 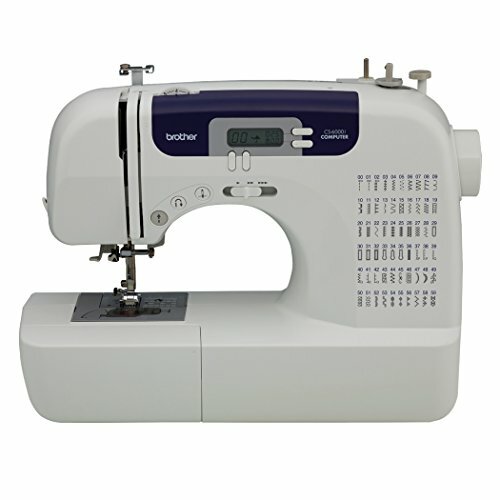 Additionally, it has a strong motor and fast stitching speed, so your projects can be completely quickly. Although the bobbin is less straightforward than on other machines, it is very sturdy, reliable and rarely runs into issues. Why You Should Buy It: Easy to set up and use this machine. 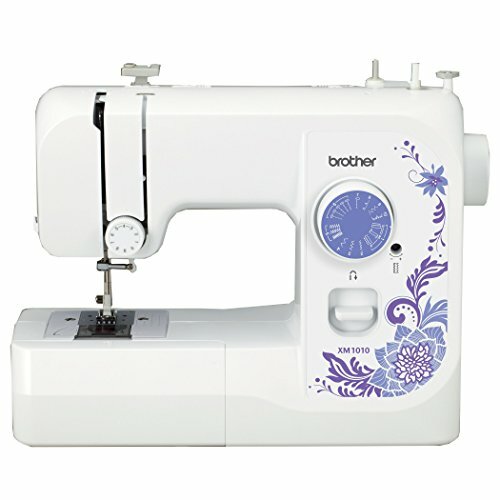 As with many Brother sewing machines, this model is easy to set up and start sewing with it right out of the box. It is very light and easy to transport, which allows you to be flexible with your sewing location in your home or to travel elsewhere. The 10 built-in stitches take care of most basic sewing needs, but a more advanced sewer might want a few more stitch types to choose from. Changing the stitch types and length is incredibly easy, with a diagram printed right on the dial. There is a guide printed on the machine to assist with threading for both the upper thread and the bobbin, which compliments the jam resistant, quick set drop in bobbin feature nicely. The bobbin is covered with clear plastic so you can see the thread supply clearly and easily. Also included is a built-in free arm for easy use with sewing cuffs and sleeves. You can adjust the stitch tension manually, which ensures your stitches are always just right for your materials and avoids skipped and uneven stitches. The instructional DVD included is a great resource, especially for first time sewers, for learning the ins and outs of this machine and having a visual reference for setting up and using it for the first time. 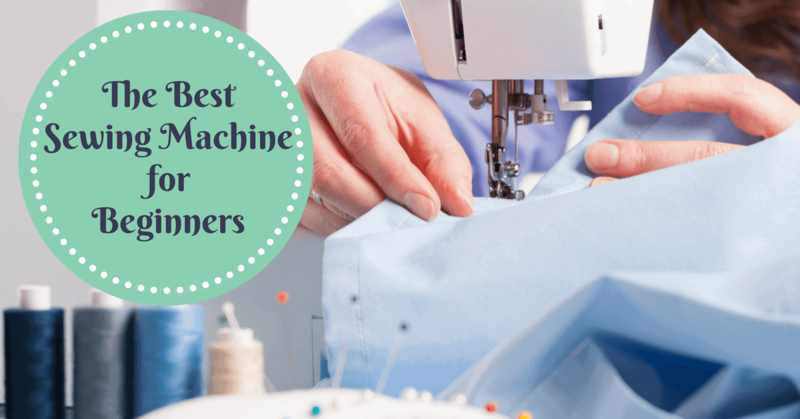 There are many different factors to consider when selecting the best sewing machines for people new to sewing. One of the first things we considered was ease of use of each machine. Were we able to get started on a project right away, or did we need to follow a series of complicated step to prepare the machine to sew? Once we started a project, how easy was it to operate the machine using the most basic functions? How often did we run into problems with the machine and needed to troubleshoot? Was the user manual clear and easy to navigate? A beginning sewing machine should be simple to set up and operate, and not require extensive time or research to fix malfunctions or problems. We also took into account cost of a new machine, as well as available warranties and customer support from the manufacturer. There are a few features that are important to look for in a sewing machine for beginners. You want your machine to be easy to maneuver and simple to troubleshoot, without requiring you to read a thick manual to complete a simple project. One of the first things to look for is if the machine is computerized or mechanical. Computerized machines are easier to operate and don't require experience to get the accuracy and efficiency you need to complete your projects. A beginner's sewing machine should also come equipped with all the basic stitches and also a few decorative stitches. You'll need to use more simple stitches while you are gaining experience operating your machine and learning the basics of sewing. Once you have experience using all of the utility stitches, it is nice to have some more advanced stitches to experiment with. A 1-step buttonhole maker, rather than a 4-step buttonhole maker. With a computerized machine, a 1 step buttonhole is as easy as entering the size and shape of the buttonhole. An automatic needle threader. This feature doesn't require you to strain your eyes or spend time threading and rethreading the needle again and again by hand. Top drop-in bobbin. With a top drop in bobbin, all you have to do when loading the bobbin is drop it in, rather than opening the front cover, which is tricky for new sewers. If you are using your machine to quilt, a needle with programmable positioning is crucial. With a programmable needle positioning system, it is easy to pivot or remove the fabric during your project. When you're picking out a sewing machine as a beginner, ensure the machine you select has these features in order to help your projects go smoothly without requiring you to memorize a long and complicated user’s manual. Prices for sewing machines range from less than $100 to thousands of dollars. For a beginner, it's a good idea to find a machine that has all the features you want and need but won't break the bank. Price doesn't necessarily indicate the quality of the machine, so doing your research before investing is crucial. Before you make the leap and purchase a sewing machine, you should also test out the machine in person to ensure you feel comfortable operating it and it works as promised. You can find a high-quality beginner’s sewing machine for between $200 and $400 that has the features you need without extras that you won't end up using and will raise the price of the machine. The sewing machines that fall beneath the hundred-dollar mark might look like a great deal initially but will end up costing you time, energy and frustration with the constant troubleshooting and repairs you'll have to do with these cheap machines. On the other hand, spending over $500 on your first machine isn't worth the cost because you won't end up using most of the features as you learn the basics of sewing, and will end up overwhelmed by the complicated and labor-intensive elements of a more advanced machine. You also need to consider the features you want versus the features you need. For example, do you really need 100+ different stitches? Compromise on some of the more advanced features if you want a lower priced machine. If you are on a tight budget, it may make sense to look around for a used or refurbished machine. Invest in a high-quality machine, and you'll thank yourself later for spending the extra few dollars. Many advanced machines have features that weren't even on the radar for advanced sewers a few years ago. Advanced machines set themselves apart from beginner machines with the amount of workspace, the high quality of stitches, automatic end of stitch features, and accessory packages included with the machine. Some top machines even have touchscreens the size and utility of a fully functional tablet computer. Advanced sewing machines will typically have more work room on the right of the needle to allow users to have the space needed for larger projects that only more advanced sewers usually work on. Another feature that sets the more advanced machines above a more basic machine is the quality of the stitches. On a top-level sewing machine, the stitches should look like they were done professionally and don't require you to guide the fabric through the machine in order for it to sew. Additionally, when stitching an advanced machine is whisper quiet. A major difference between a beginner's sewing machine and a more advanced user's one are the end of stitch features available on a higher-level machine. An advanced machine has the capability to cut and tie off the thread at the end of your seam. When you want to start again, it will automatically lower the needle and pressure foot and continue stitching. On a simpler machine, all this is done manually. Lastly, higher end machines will include a complete range of accessories, including pressure feet for different functions, embroidery hoops, extension cables, multiple types of needles, and often more. For experienced sewers, these features enhance the sewing experience and simplify projects, so once you have developed these advanced skills, these extra features will be something to look for, but as a beginner, they are mostly unnecessary. Before you make your final selection for your sewing machine purchase, it is a helpful exercise to ask yourself a few questions to evaluate if the machine you have chosen fits all your needs. You might have your eye set on a certain machine, but after looking through these questions, you may find that it isn’t the right fit after all. It could be that you realize it won’t fit in the space you’re planning to use for sewing or that with all the materials you will be purchasing for projects you need to lower your budget. These questions help you to assess if the machine you have chosen is truly the right sewing machine for you. 1) Do You See Yourself Becoming Serious About Sewing? If you pick up hobbies left and right, only to move on to a new one after a few weeks, investing in an expensive sewing machine might be premature. Ask yourself what types of projects you want to complete and what level of expertise you want to reach. If you are ready to invest the time into becoming an expert sewer, then spending a few extra dollars to purchase a high quality, long-lasting machine will be worth it. If you are getting into sewing only for a few, more simple projects, you should consider a less expensive machine. You can also consider taking an introductory class to get a feel for the craft and get a better idea of if it is a hobby you want to pursue further. It will also give you the opportunity to test out a few different types of machines if they have a variety for participants. Asking yourself whether you want to complete just a few projects, or are planning to pursue sewing as a serious hobby will help you to narrow down the models and features for machines you are considering. 2) Where Will You Sew? Before you purchase a machine, you should decide if you are going to have a dedicated space in your home for your sewing machine and materials, or if you need a portable machine to move from place to place. If you have a specific place in your home where you plan to set up a permanent sewing area, you can expand your options to larger and heavier machines. Heavier and larger machines can handle thicker and more heavy-duty fabrics, which increase the range of projects you can do. On the other hand, a lighter and more portable machine is nice because you can use it anywhere in your home, or even transport it when necessary. If you don't have a dedicated space in your home for sewing, a smaller, more lightweight machine is ideal for easy set up and clean up. Whether you choose a more permanent set up or want the flexibility of a portable workspace, there is a sewing machine that fits your exact needs. 3) Will You Need Expert Level Features? Depending on how you answered the first question (Do you see yourself becoming serious about sewing? ), you may or may not want to look into what expert features you want for your sewing machine. If you plan to work on more complicated and time intensive projects, you should consider some expert-level features. For example, an expert sewer requires a much larger variety of stitches and multiple specialized accessories that can be expensive. If you are planning on doing simple projects only, you won't need specialized accessories or more sophisticated stitches, so that won't need to factor into your consideration for which machine to purchase. You should also decide if you'll need extra space on the machine for larger projects to fit through, which will impact the overall size of your sewing machine. Lastly, think about how much you want your machine to do for you. Do you mind threading the needle and ending stitches manually, or would you prefer your machine do it automatically? Deciding which expert level features you'll need can help you determine which machine is the right purchase for you. 4) Will Children Be Using The Machine Too? If you are planning on letting your children use your new sewing machine, you need to consider safety features, complexity of use, and fragility of the machine. Of course, always supervise children using your sewing machine, but even with close supervision, you should consider choosing a machine with built-in safety features that prevent children from injuring their fingers or other body parts. You should also take into account any complicated or expert level features that you have on your machine that may be difficult or frustrating for a child to use. If you want your child to be able to grow into using the sewing machine independently, avoid purchasing a machine with too many complicated features that will prevent them from using it autonomously. In addition to considering the complicated nature of expert-level features, they can also be very fragile and prone to breaking if not handled carefully, which can be challenging for a child. If you want to be the only one using your sewing machine, you don't have to take these things into consideration, however, if a child will be using the machine regularly, it is critical that you take these things into account. Sewing machines can range in price from less than $100 to over $1000, so determining your budget is critical before you make a purchase. Once you have decided which features are necessary and how long you plan to use the machine, you can start thinking about your budget for purchasing. Think about the materials you will need to maintain the machine and to complete each project. You certainly don't want to spend your entire budget on the machine and have none left over to buy fabric or thread to do your project! You should also take into account the joy your new hobby will bring you. Enjoying the time you have sewing is priceless, so it can be worth it to spend a little extra to get a machine you absolutely love using. There are a lot of things to consider when purchasing your first sewing machine, but if you do your research, you will be able to find one that fits your preferences and budget perfectly. There are so many options for a novice sewer when it comes time to purchase your first sewing machine that it is important to consider every aspect of what you will use your machine for, what features you want and need, and costs associated with the machine and materials needed. With the variety of models available and new high-tech features offered on even the most basic machines, you can find machines that meet your needs as a new sewer and continue to fit what you want as a more advanced sewer. Take the time to research the best brands and models, so you are confident in your purchase and can enjoy all the wonderful benefits of sewing without the inconvenience and hassle of dealing with a low quality or confusing machine. All of the machines for beginners reviewed in this article are very affordable and have excellent ratings from both our editors and users alike.